I am an Idaho native and know Idaho very well. I grew up in Boise and attended the University of Idaho where I studied Geography. I have worked in Boise, Nampa, and Caldwell. I have great knowledge of the Treasure Valley and its neighborhoods. 1) Is this your full time job? 2) Why should I work with you? 3) What do you do better than other real estate agents (ie, why should I pick you over everyone else)? 4) What process will you use to help me find the right home for my particular wants and needs? 5) What are the most common things that go wrong in a transaction and how would you handle them? There are an infinite number of things that potentially could go wrong in a transaction. However, the most common include results of an inspection report and the subsequent negotiations between buyer and seller for repairs, appraisals coming in low orfinancing not coming through. After contract acceptance the inspection is the next major step. It might come back with no major issues, or there may be more issues than we had anticipated. This is the time where negotiations might be renewed between buyer and seller. It is my job to go through this with you. I am not a home inspector, and the inspectors are available to answer any questions, but I am here to help you talk about the inspection items and help you navigate the process of what, if anything to ask the seller for, or if it is time to throw in the towel on this property and move to the next house. Appraisals are the next biggie. In today's market the appraisers are ultra conservative with their appraisal reports and often only come in at or barely above contract value even if a house may be worth more than that. However, they are also commonly coming in lower too. Now, I would never want my buyer clients to pay too much for a home, but if there is legitimate reason to question the results of the appraisal I will complete a independent comparative market analysis with additional comps to submit to the lender and appraiser for review and also work to see if we could get a second appraisal opinion. This is getting tougher to do because of new laws and regulations in both the lending and appraisal sectors. However, if an appraisal does come in low, this is an additional time to work out the situation with buyer and seller and negotiate terms of the contract once again. As far as financing not coming through (at the last minute and for whatever reason) there are a number of ways to avoid this in the first place and that leads me to the next question. 6) What are some mistakes that you think people make when buying their first home? 7) What other professionals do you suggest we work with and what are their credentials? 8) Can you provide me with references or testimonials from past clients? 9) Are you a Realtor®? I am a Realtor®, a member of the NAR (National Association of Realtors®) as well as IAR (Idaho Association of Realtors®) and BBR (Boise Regional Realtors® - formerly Ada County Association of Realtors®). I participated on the ACAR Bylaws Committee for several years, was the Vice Chair of the committee for 2012 & 2013 and Chair for 2014. I participated on the ACAR Grievance Committee for several years as well and was the Chair for 2012. I also was on the Rules and Regulations/Bylaws committee for the Intermountain MLS for 6 years. Though the MLS isn't directly affiliated with the National Association of Realtors, in our market all agents that are part of the local MLS are members of NAR, IAR, as well as a local Association, and Intermountain MLS works closing with all local Associations and NAR when making decisions for our local area Realtors®. 10) What certifications do you hold? I am a Realtor®, a Real Estate Broker, a GRI (Graduate Realtor Institute), e-Pro (focusing on internet and technology in the Real Estate industry), & SFR (Short Sale & Foreclosure Resource) and a CRS (Certified Residential Specialist). I held the SRS (Seller Representative Specialist) designation and ABR (Accredited Buyer Representative) for many years but no longer renewed it after 2018. I also am always continuing my education with other classes as well. 11) What is your specialty? Over the course of about the last market downturn we worked extensively with pre-foreclosure, short sale properties, listed, negotiated with banks and sold these as a primary part of our business now as well so we have extensive experience in that market as well. Knowing the ins and outs of the selling/listing side of short sales also helps me to be more knowledgeable with buyers to help them navigate and have proper expectations on the purchasing side of it too. Though I refer buyer clients out to local Realtors in Valley County if my buyers are looking in areas around McCall/Donnelly/Cascade, we do work together with local Realtors in that area to listing and negotiate short sales. 12) Who is your Broker? Can I call him/her? I am the Managing Broker of our family owned real estate brokerage. Jon Gosche, is the owner of Jon Gosche Real Estate, LLC and is also my father. You are welcome to call him at 208-870-2115 or email him at gosche@cableone.net. One of the greatest things about small family brokerages is that we are able to talk issues through and always have access to one another. 13) How many sales did you complete last year? John and I have both received the Circle of Excellence award for the Boise Regional Realtors® every year we have been in the industry. We average about 70-80 closed homes each year. John and I work well together to help each other when need be. We do not have transaction coordinators and so our numbers may not reflect that of the busiest agents in our market area, but we do that by choice as we feel that it is important to have the same person (us, your agent) involved throughout the entire transaction, have all knowledge of what is going on, remain the contact person for all parties during the transaction and not pass it off to an assistant to finish once the offer is written. There is so much that happens between offer acceptance and closing that needs to be attended to in order to assure a smooth close and we don't want to do what we feel is a disservice to our clients of passing that off to a transaction coordinator. This is the third time we have utilized Jon Gosche Real Estate over a 14 year period of time to both buy 3 homes and sell 2. I would not hesitate to have them represent me again. John Boles has been incredible to work with especially with us being from out of state. My family bought a home in Eagle last spring and said they wish they had John as their agent. Very easy going, responded to all calls and messages and takes the time to know what you want and need. He also referred us to other great professionals in Boise. He knows his market and Greater Boise area. He receives an A+++ rating from us. Are you guys KIDDING me After 4 houses why would I go somewhere else. YOU ARE THE BEST. Working with John was great. It was like we were the only client. He was knowledgeable, kind and efficient. Thanks! We have worked a lot with John and Kasey. They are very knowledgeable and pleasant to work with, and they genuinely put our interests at the forefront. They are great at anticipating possible hurdles in the buying/selling process and are quick to provide suggestions and solutions. We highly recommend them! John Boles has been an exceptional agent in representing myself and my husband. We are purchasing the property sight unseen, and he has jumped through hoops with video recordings and pictures of our new home, so we may feel like we are present in Star. Everything that we have asked of John, he has provided, or figured out a way to resolve our issues. I would vote for Realtor of the Year and also recommend to everyone! Working with Jon Gosche Real Estate and especially, John Boles, made buying our home a breeze! All our needs were met and exceeded! His attention to detail and his communication throughout the process made us rest at ease during what most may consider a stressful time! We will definitely be recommending John Boles and Jon Gosche Real Esate to our friends, family, and neighbors! Open, honest, clear communication throughout entire process of buying and selling. Always available and quick to reapond to any questions. Patient and fully explained all possible options. We have done three houses with them and my mother in law bought her home through this great company too over the last 10 years. John and Kasey are the best agents and completely recommend. John is so easy to work with, he understands us, and he has gone out of his way to ensure the best possible outcome. We continue to recommend him to our family and friends. John Boles was great as always. John Boles took the time to listen and provide his professional opinion on everything from buying to selling. My Wife and I requested Mr. Bole's help for the 3rd time recently and we will be seeking his help with our next purchase. Thanks again for all your help! John was always on top of his game, I wasn't let down once. He walked me through the process smooth as silk....he's a great REALTOR® and a really super nice person." John - you are a real estate rockstar! You made this entire process so easy for us! Over the past few months I've probably told my husband a hundred times "We never could have done this without John!" We have been extremely thankful for your expertise throughout the entire process. We would recommend you a hundred times over to anyone who was looking for a realtor in the the Boise/Nampa area. Thank you! Jon Gosche Real Estate did an incredible job selling our home. They were clear, professional, responsive and without question had our best interest in mind. I would fully recommend them to anyone buying or selling a home. My realtor, John Boles, did a fantastic job on everything. He listened to my needs, gave great advice, guidance, and support through every step. As an out-of-state seller, I needed help arranging repairs and maintenance to ready the house for sale; John's referrals and assistance were essential and much appreciated. Once the house was listed, John sold it quickly to a qualified buyer and helped me with all the sales details. He has a great deal of real estate knowledge and is skilled in all aspects of his business. And if that isn't enough, he's a really nice guy, too! Building a home while living in another state is a daunting task. John Boles helped us smoothly navigate each step of the process. He got us answers to all our questions in a timely fashion and served as our "eyes on the ground". We can't thank him enough. We purchased our home in Eagle, Idaho through Casey and sold our home through her husband Jon, of the Jon Gosche Real Estate agency. Each experience was beyond question, pleasant and Professional. We have bought and sold many pieces of real estate in several states. Our experiences with Casey and Jon of the Jon Gosche Real Estate agency were by far the easiest for us. During the sale of our home we were out of town. The sale was not without a few issues and a little drama, however Jon handled everything and worked to insure closing occurred as scheduled. We will definitely make our next real estate purchase through Casey and or Jon of the Jon Gosche Real Estate agency. My husband and I loved working with John for two main reasons: his high-level professionalism and his low-key personality. We deeply appreciated his professionalism. He has lots of experience, he was prompt to act at each step during the process, he was very careful with his paperwork, he was great about following through and keeping us informed about any developments whether it was a change in our buyer's situation or if he was stuck in traffic on the way to a showing. He has gathered a list of competent people around him for repairs, inspections, etc. that was very useful to us. We also were grateful for his low-key casual personality because we never felt pressured, we only felt supported. He would answer our many questions with honest answers based in his years of experience which allowed us to make good decisions when we were truly ready. He helped us sell our home quickly and helped us find a new home that was just what we were looking for at the price we wanted to spend! We cannot express how much the combination of professionalism and low-pressure meant to us during such a major life change. We would highly recommend their services. As a senior, first time buyer and new to Idaho, James responded to every inquiry and spent time researching questions I had regarding the association I was buying into and presented me with a copy of all the documents. He brings a personal touch to his work that makes you feel special. Deb, Boise 2016 John Boles provided excellent service in every way. I've worked with good realtors before, but never anyone as on top of things as John. He was fast, but thorough and efficient. Even for us, though we don't live locally (we're in Texas), the process could not possibly have gone more smoothly, or netted a better result. We're so grateful and thankful to John, and his wife, Kasey. Kim, Meridian 2016 John is so easy to work with because he's authentic, full of knowledge and energetic. He always stayed very positive and optimistic even when we started to doubt that we'd find our dream home. At times, realtors can forget that their buyers and sellers don't do this everyday and we need guidance along the way to ensure things go smoothly. John gave great guidance without being pushy or aggressive. This is our third time working with John and his consistency and commitment to customer care isn't something you find everyday! Thanks John. We love our home. Ann, Boise 2016 John was very personable, even our renters said so. He kept us up to date all the time either by text, email, or a phone call. We recommend him highly. Sergio, Nampa 2015 The Jon Gosche Realty is awesome, especially James and Kasey. It was a very smooth transaction and James was very knowledgeable about the entire Boise city and suburbs (Meridian, Nampa, Caldwell, etc.) He gave us a wide choice of properties to choose from as well as several communities and different models. The whole buying experience was very good and we feel so excited about his attention that we started to recommend him to our friends and neighbors in California even before we moved to Idaho. Ronda, Meridian 2015 John was very friendly, helpful and there when I had questions or concerns. This is the second time I have used his services. I highly recommend him!! John, Boise 2015 John is a great realtor! He has far exceeded our expectations! We will definitely be referring him and his company to friends/family! He made our first home buying experience a great one! Faye, Caldwell 2015 James Gannon and Jon Goshe Real Estate is a very professional real estate brokerage company. They show a great deal of integrity, patience, and stamina. I would not hesitate to use them again or refer all my friends to them. I have even told complete strangers about them. Marvelous company. ​Penny, Mountain Home 2015​ ​Working with James was awesome! He was low key, relaxed, confident, knowledgeable and fun! We always looked forward to house hunting with him! When we did find our house, he was right there for every step and solved a few minor issues effortlessly. Thank you James and Kasey, too! ​Sarah, Nampa 2015 I'm happy to call members of the Jon Gosche Real Estate team my Realtors, Community Members, and Friends. They are top notch people to work with. ​Karen, Boise 2015 ​John handled everything with the sale in a calm, professional manner. We really appreciate being able to work with John. Everything seemed to go smoothly and efficiently, I'm sure due to John's expertise. Thank you John for your service and friendship. Ben, Boise 2015 JB is an excellent realtor jolly on the spot with answers heading off problems and finding a buyer quickly. A.W., Boise 2015​ We, a "senior couple", needed to relocate 250 miles to Idaho. Building a home for our special needs was a challenge for all of us. Having John Boles as our Team Leader was the best and most important decision of the whole project. John gracefully kept everyone moving and in the loop. His professional and caring approach made the project a great success. Thanks, John. Andrea, Boise 2015 James went way above and beyond to help make sure our purchase went through. C.R., Boise 2015​ John is a great realtor! He has far exceeded our expectations! We will definitely be referring him and his company to friends/family! He made our first home buying experience a great one! 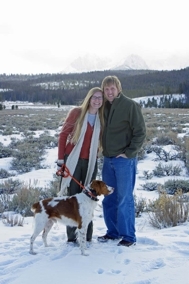 ​​John, Boise 2015 ​​Kasey created a fantastic home buying experience! She offered a good mix of extensive knowledge with client centered service. I never felt pressured, hurried, or like we were a burden when we had questions concerns or just wanted to take time thinking over a decision. She made our home purchase enjoyable and fun!​ ​Gary, Boise 2015​ John Boles was our agent and he did an excellent job working with us. He is knowledgeable, professional, available, and always willing to go the extra mile to help us with our purchase. Jeff, Meridian 2014​ Jon Gosche Realty and particularly my agent Kasey Boles made my move from Marietta Georgia to Meridian Idaho much easier on my family and me. She was always available and kept us updated continuously during the entire process. Could not have asked for more. Thank You to everyone at Jon Gosche.​ Justin, Boise 2014​ ​Jon Gosche Real Estate far exceeded my expectations as a first time home buyer. My real estate agent was friendly and quick to respond. He did not try to sell every house as if every house was the one for me; rather, he took the time to understand exactly what we were looking for and I never once felt pressured. I recommend Jon Gosche Real Estate for anyone who is or will be going through the home buying process. Pam, Boise 2014​ ​John Boles did a wonderful job in helping me, an out-of-town buyer, find and purchase a property. The real estate closing on the house occurred exactly 30 days after the offer was accepted. With his expertise, Mr. Boles saw the process through to the end. I couldn't be happier in my new home and am grateful for his professional help and advice. Kelly, Boise 2014​ ​We're very happy we chose Jon Gosche Real Estate. Our agent's expertise made the process of buying and selling so much easier than we expected! John & Edie, Boise 2014 John was very patient and always helpful. He did not push us into a decision. we feel that he always gave us his honest opinion and we learned to trust him. He has good knowledge of the real estate market. Justin, Boise 2014 Jon Gosche Real Estate far exceeded my expectations as a first time home buyer. My real estate agent was friendly and quick to respond. He did not try to sell every house as if every house was the one for me; rather, he took the time to understand exactly what we were looking for and I never once felt pressured. I recommend Jon Gosche Real Estate for anyone who is or will be going through the home buying process. Justin, Boise 2015​ ​John was fantastic. He had the experience and knowledge about my situation to make what could have been a difficult experience enjoyable. I don't know what I would have done without him. He took the reins from the first time I spoke with him, and never looked back. Can't thank him enough for all his hard work. ​Gabe, Boise 2014 ​John Boles and the entire Jon Gosche Real Estate team were nothing short of exceptional. Our experience with them was lengthy,( 3 years) we were receiving emails and waiting for the right one to jump out at us as. we were looking at short sales pretty heavily initially, so John made sure to make us aware of the short sale process and primarily how it can take a lengthy amount of time. I do believe that it was Johns experience and past success that can be credited for us finding and closing on our short sale. The sale of our home was just as big of a win as the purchase of our new home. John walked through our home and gave me his opinion of things that I would benefit from doing before listing and told me some of the things that I was planning on doing he didn't find necessary. I did as John recommended and with his stunning photos and quick listing of our property we sold our home quick, for what I felt was a great price. Top to bottom the experience with John Boles and Jon Gosche Real Estate was a great experience and one that I look forward to having in the near future with some investment properties as well. ​K&D, Boise 2014 We have a new family real estate agent. I would never use or trust anyone else with my realestate needs. John Boles more than met our needs and I have recommended him to all my friends.​ R., Boise 2014 My agent was friendly and accommodating and was willing to answer any and all of my questions. Joyce, Boise 2014 I can tell you that because of the outstanding job that was done on the sale of our house, I will be using them again when I go to purchase my next real estate. Rebecca, Boise 2013 I don't think I ever thanked you for doing such a great job with the Short Sale of my property. The entire process was smooth, painless and most of all transparent. I wish to tell all potential clients that I would most certainly do business again with you if the opportunity presented itself. Thank you!! Angie, Boise 2012 Hope you and your family are doing well. I have been meaning to email you for a few months but you know how life gets busy:). I'm not sure we told you that we really appreciated all the work you put into selling our house. Thank you so much! It's nice to be done with it all. I can't tell you how much I have enjoyed working with you and I have no doubt we couldn't have finished this without you. Thank you so much for all of your hard work, it means more to me than you will ever know. If only I had found you a year ago! I have already given your name out to a few people and I will send who ever I can your direction. We hope to buy a home in a couple of years when my credit turns around, we will definitely think of you when we do. Keep us updated if any of your contact information changes. I just wanted to thank you again for helping me sell the house in Kuna. I appreciate all the work you did and especially putting up with me. When I left the title company yesterday I felt like I should have given you a hug. J Thank you again for everything!! Thank you so much for all of your work on the house! I'm so glad it all worked out. Thank you again.